Sacred Acoustics recordings help to calm the mind, reduce distracting thoughts, and relax the body. While your awareness is in an expansive state, it becomes easier to let go of mind chatter, reduce stress or anxiety, improve wellness, find creative inspiration, solve problems, or, simply get a good night's sleep! A standard set of headphones is recommended. 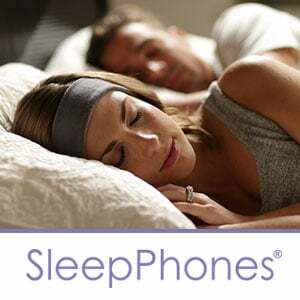 Listen with SleepPhones® for the ultimate in relaxation - a spa for the mind. Sacred Acoustics develops NeuralHelix®, a unique method of harmonically blending binaural beats and monaural beats with specifically selected and balanced carrier tones. The audio signals serve to alter brainwave rhythms from the beta state (normal waking consciousness) to alpha, theta and delta states, associated with more relaxed states of awareness. Whole States Bundle. Learn to entrain the brain to states of delta, theta and alpha using the same recordings in our pilot study, where listeners achieved a 26% reduction in anxiety. As you become more practiced achieving these alternate states of awareness, benefits follow. Through a regular routine, a calmer, more focused state of mind can be achieved, allowing for creative inspiration, problem-solving, and more. Three 70-minute recordings and six 20-minute recordings are included in this bundle, providing support for a regular listening practice and daily activities such as study, reading, relaxation or creativity. Sleep Bundle. Designed for listening just before bedtime or for taking naps, providing support to ease you into falling asleep and deeper rest. Many with insomnia find this an effective way to get better sleep. Play the one-hour track as you fall asleep or listen after awakening during the night to fall back asleep. A wake-up track is included if you awaken feeling groggy and three tracks are included for 30-minute, 45-minute and 60-minute naps. Low theta tones modulate down to low delta tones using earth's frequency. Cosmic Womb. Originally developed as sound support for the sacred act of giving birth, all can experience this timeless state of calm, peaceful tranquility. A reverent atmosphere ensues when played over speakers, even during daily activities or while performing focused tasks. Embedded within the chimes are 6hz tones (theta) that heighten the relaxing sensations. Excellent for reducing anxiety. Heart Center 2. The heart is much more than a physical organ, it generates a powerful electromagnetic field. Heart energy is the focal point of unconditional love at the core of all existence. Cultivate a greater awareness of the heart’s vast energy field. Feel the heart expand to an unlimited state of being. Accompanying frequencies support theta and alpha brainwave states. View our series of training videos. Be inspired by listener testimonials. Full selection of products and bundles. To address specific goals: "I want to..."